Moving isn’t easy. And packing can only make things harder. That is why you might need some assistance. And our moving experts in Miami are willing to help you do just that – move your belongings in a safe and timely efficient manner. When moving, there are a lot of hassles involved such as packing your entire household, to loading the trucks and then transporting everything safely to the new place. It is always a better option to hire the services of professionals to save the time and energy involved in moving. We are a team of professional packers that have many years of experience in providing efficient services. 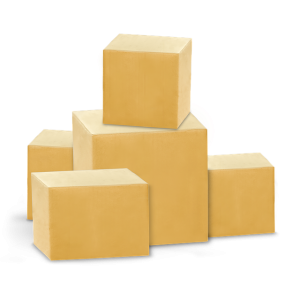 Our packing services help to protect the goods from physical damages. We ensure that external factors like water or dust do not affect your belongings. We can help you pack your belongings in the safest manner possible. Yes. We can. And that is why you shouldn’t wait anymore and give us a call today! Our moving experts have more than enough experience to pull off any relocation project. And when it comes to packing – it is our specialty. Pro Movers Miami will help you every step of the way. From planning your move and picking the right packing materials, to finally preparing and packing your belongings for safe transportation. And that is exactly what you need. No matter if you are moving on a short notice, long distance or preparing your items for storing. Full care always comes in handy. So, wait no more and give us a call today! Having the right guys for the job on your team matters. And that is why picking our moving experts for this project is the best thing you can do. It really is. We will make sure everything is packed and properly prepared for transportation. And at an affordable rate. All you have to do is to pick the services that meet all your moving needs. We will take it from there. And you don’t have to worry about anything. Not with our professional packers on your side. Our team is here for you. Every step of the way. 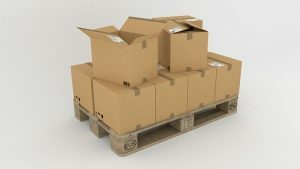 We are a reliable, fast and professional packing company that can satisfy all your packing needs in just a few hours. Our packers in Miami will ensure that everything is expertly packed and prepared for transportation. We perform packing and moving services in a proficient and timely manner. We are professionals with years of experience in the moving and packing industry. Your belongings’ safety matters to us. We will ensure you move smoothly and effortlessly. From packing and loading to transporting and uploading – we can help you every step of the way. 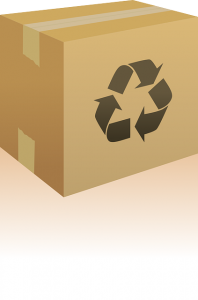 Our moving and packing services will save you time and money. How to pack for your Miami move? Not only do homeowners find it a hassle to handle tasks related to Miami moving, in most cases – they don’t have enough time to do so. The reason is that they will have to do a lot of packing and lifting. The job can take a couple of days to complete, depending on the size and complexity of the move. If you are alone and want everything done in a single day, you may want to consider hiring a professional moving service to do the packing for you. You should not just hire any moving company that you see. Make sure that you hire the best and most reliable company near you. Such as Pro Movers Miami. Your safety and satisfaction are the only two things that matter to us. Our packers are here for you. Did we forget to mention additional protection? Pro Miami Movers don’t just put all things randomly into the box. We make sure that there is some space between things so that there is room for bubble rolls, packing paper, and foam wrap. Such things will improve the protection of your valuables.